Your engine needs plenty of clean air so regular filter changes will keep your PT’s performance and mpg at its best. This is the easiest way to gain a couple of extra horsepower and it will also save you money. 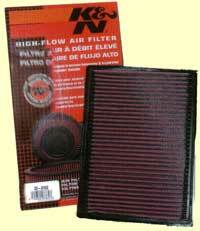 This K&N Filter allows around 60% more air flow than the standard filter and traps more contaminated air too. You will never need to buy another filter either, as this one can be cleaned (at 30 - 50,000 miles) and K&N claim a million miles of use before it needs to be changed. No tools needed, and just a couple of minutes needed to install. For 2.0L and 2.4L petrol engines only. 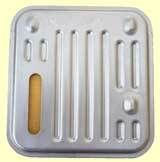 Code: KN1 £48.90 (includes VAT) Fits 2000-2005 1.6L, 2.0L and 2.4L petrol engines. Code: KN2 £53.40 (includes VAT) For 1.6 and 2.4 litre petrol engines 2006-2010. Regular oil filter and oil changes are essential for the long life of your PT engine. 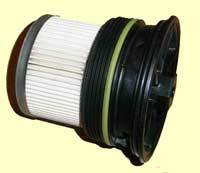 Filters in stock for both petrol and diesel engines. Fuel filter for 2.2 CRD diesel PT Cruisers. Fits all diesel models 2002-2010. The air conditioning pollen/dust cabin filter is located behind the windscreen washer bottle and is fitted to all diesel models and most export petrol PT cruisers. Fits 2000-2010. It is important to check that these small filters are in place on the pipes of the two pressure regulators, and are clean. Fits all 2.2 CRD diesel models 2002-2010. 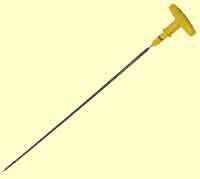 PT Cruiser dipstick for the engine oil level. Fits 2.0 litre and 2.4 litre. It is very important to use the correct oil for the 2.0 and 2.4 litre PT Cruiser gearboxes. 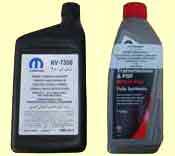 All auto gearboxes 2000-2010 use the same ATF+4 oil - Code: GBO2. Manual gearbox models only from 2000 to 2002 use a Mopar oil - Code: GBO1 specially made for the PT Cruiser. (Manual models from 2003 use Code: GBO2). The gearbox ‘drain and refill’ capacities are 2.7 litres for the manual and 3.8 litres for the automatic. For 2.0 & 2.4 litre (not turbo). Note: We are unable to deliver to overseas, delivery is to the UK only.